Cerebellum tissue. 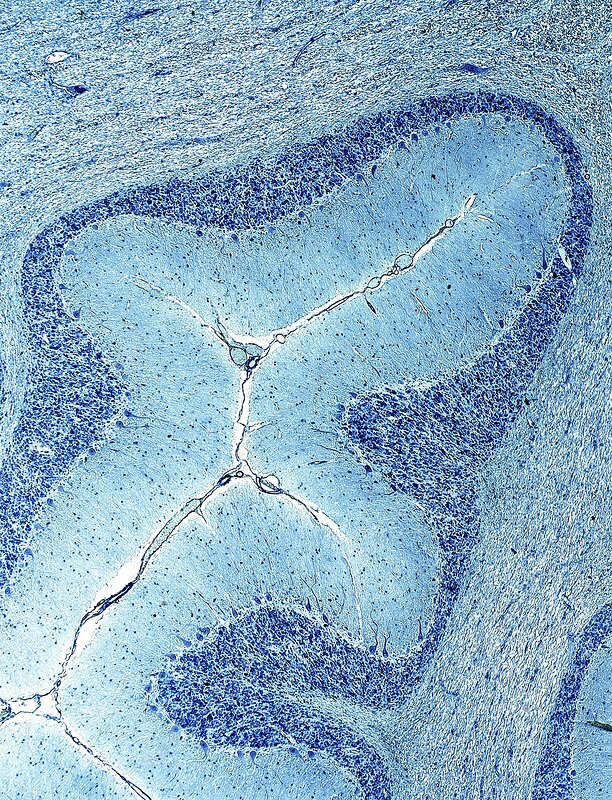 Coloured light micrograph of a section through the cerebellum of the brain. This is the grey matter of the cerebellum. It consists of two layers; the molecular layer (dark blue) and the granular layer (light blue). Purkinje cells (white), a type of neuron (nerve cell), form the junction between the two layers. Purkinje cells consist of a large flask-shaped cell body with many branching process (dendrites). The cerebellum controls balance, posture and muscle coordination. Horizontal object size: 3mm.